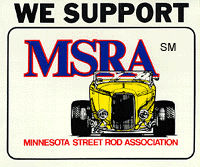 To Join the Drifters Car Club of Southeast Minnesota, you need a Drifters current member to sponsor you. If you know a current Drifter you can contact them to join and fill out the application below. If not you can send an email to the Drifters at the contact tab on the website. Fill it out and a Drifter member will contact you about joining the Drifters. Everyone is welcome to join, no car needed; however, this is a sponsored membership.